Thank you, first, for considering how you may enhance the education, experience and overall knowledge sharing at a TVPPA Conference. It has been our goal to provide the most cost effective and educational event for attendees and, through the assistance of sponsors and conference speakers, we’re able to do so. Listed below are methods we’re hoping to include in each and every TVPPA Conference. We’re providing some simple details and templates to get you started. Beyond that, be creative and enjoy the process! If at any time you need assistance or additional guidance from us, please don’t hesitate to contact Diana Bryant at dbryant@tvppa.com or by phone at (423) 490-7923. White Papers come in a variety of formats but are generally one to ten pages (usually on the lesser side) and are case studies, explanations of new technologies, research results or other informative examples. They should not be a sales piece but are often used by companies to develop leads in their sales stream. 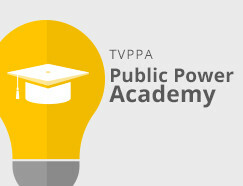 TVPPA Conferences believes we can leverage them to expand on the learning experience. Further, this showcases a sponsor or speaker as a subject matter expert and a source for information. You can search the Internet as there are tons of examples out there. Keep in mind, again, this doesn’t have to be long or detailed. If you can get your information on one or two pages, that works. Be sure to include contact information should people need to reach out. Facebook, Twitter, LinkedIn… the list goes on. Everyone is doing one or more of them which means there’s an opportunity to reach them outside of the two or three day conference! TVPPA has created hashtags for each event (listed below and also within our conference materials) that you can use to tie your messages to a specific event. No longer are you limited to interfacing just during the event. For speakers, this is an opportunity to engage your audience ahead of time and potentially gain some insight into their existing knowledge, information gaps or challenges you can include in your presentation. For sponsors, this is a great time to pre-position thoughts and information so you can elaborate on it during the event. And it doesn’t stop there — in either case, you are subject matter experts. New information happens over time and what a great tool for updating people. Think outside the box, here, and leverage systems that people are actively engaged in both for their personal and professional lives. NOTE: TVPPA’s Twitter handle is @TVPPA and we’re also on Facebook and LinkedIn. For a list of our channels, visit TVPPA’s home page and scroll to the bottom. 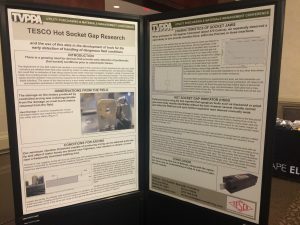 Poster Sessions are a growing trend in conferences. They’ve been around for many years but not as prevalent in our industry. Much like White Papers (and can also be developed from them), Posters are something a bit more graphical and something a person can glean information from in a very short amount of time. Where White Papers may be more text heavy, Posters are more graphical and visually interesting — all while conveying the same sort of information. Here again, case studies, new technology, processes or other topics are viable subjects. For speakers, this is an opportunity to convey your presentation, or a component there of, in a digestible way. The Posters will be on display during the entire event so there’s a good chance attendees will see it before your presentation. For sponsors, this is a great way to educate people on key components of your products or services to help them better understand. Using a case study, here, is a great way to show how people are leveraging you to solve problems. There’s no cost to have a Poster but you’ll need to put the information together. We’ll print the Poster and have it on display for you during the entire conference.